Are Power Washers Safe to Use on Trees? It may not always seem like it, but trees are living things too. Can you hose them down with power washers? Here is some advice on how safe this technique is. It’s early November, and your trees are probably settling down for a nice winter nap. Many creatures hibernate, sleeping away the cold before coming back to life when spring returns. It may not always seem like it, but trees are living things too. Can you hose them down with power washers? Here is some advice on how safe this technique is. 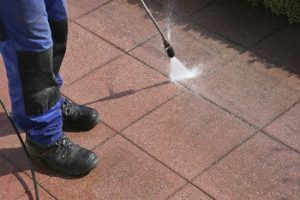 When you go to use a power washer, you should keep in mind that there is an excellent reason they are called power washers in the first place. These washers may resemble your common garden hose, but they can be anywhere from 1- to 50 times more powerful and deliver a steadier, stronger stream of water. It may not seem likely, but that amount of force can harm your trees. If I Do It, What Happens Next? You may want to use a standard garden hose to clean off your tree. Power washers are operated by components such as motors. Because it relies on motor power, power washers can provide you with a tremendous amount of water pressure. How much pressure can your power washer produce? Think about this: these tools can generate anywhere from 1,000 to 4,000 pounds of pressure, also known as pressure per square inch, or PSI. What Damage Results from Using Power Washers and Pesticides? Canopies are a critical part of keeping your trees healthy. Unfortunately, power washers can ruin the canopy of your tree. The leaves will be blasted away and leave your tree unprotected. Also, you should avoid using pesticides and other chemical treatments. It may seem tempting to use these solutions, but by spraying, it will affect you and anything else around your tree. Remember, what goes up must come down. This entry was posted on Friday, November 10th, 2017 at 8:50 am. Both comments and pings are currently closed.